German brand Magura has been at the disc brake game for a long time now. 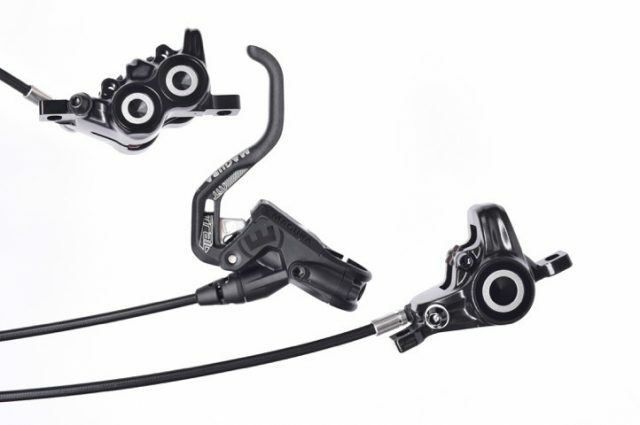 It’s expertise in hydraulics is well known, but in recent years Magura’s brake products have fallen out of favour with a lot of mountain bikers, who have flocked towards popular offerings from the likes of SRAM and Shimano. Having sensed that shift, Magura has been working hard to up the performance of its disc brakes, and in particular has been working on improving ergonomics too. At Eurobike last year, Magura debuted a shorter, single-finger brake lever designed for use with its newest generation MT brakes, such as the MT7, MT8 and MT Trail. The lever provided a welcome improvement to the main contact point for those riders who don’t use two fingers to brake (seriously, does anyone do that anymore? ), but Magura is keen to go one step further. 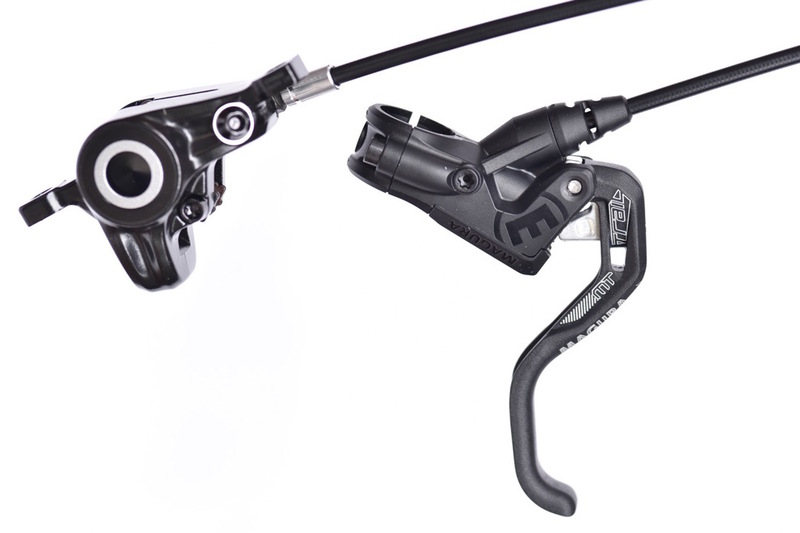 Introduced as of right now, the HC3 brake lever is an aftermarket brake lever kit that’s designed to offer independently adjustable lever reach and something that Magura calls ‘Ratio Adjust’. New HC3 brake levers from Magura are designed to offer increased adjustability of power, modulation and reach. 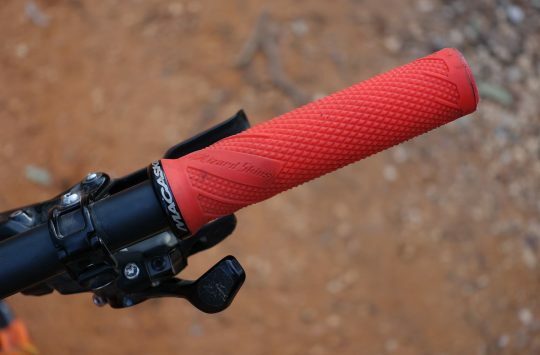 “The newly developed HC3 lever – which was especially engineered with the input of Danny MacAskill for his signature edition of the Magura MT7 – is now available as a spare part for tuning. The HC3 is shortened and carries a lot of features for individual adjustments. Every rider can tune in his (Ed: Umm, what about female riders?) personal braking feeling perfectly. A unique feature is the adjustment of the leverage which changes the braking power.” – Magura. The levers are ideally suited to single-finger braking with a wide profile. 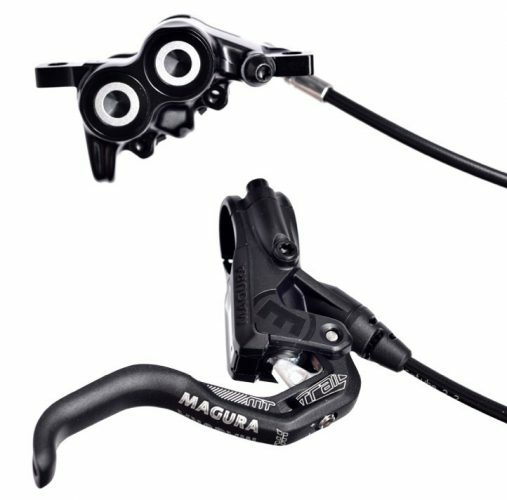 So based on Magura’s press release, we’re not entirely sure if these are male-specific brake levers, and if they are, perhaps Magura is working on a women’s specific design too? Regardless, they certainly look interesting for those who love to fiddle and faff with their controls to achieve the perfect goldilocks setting. 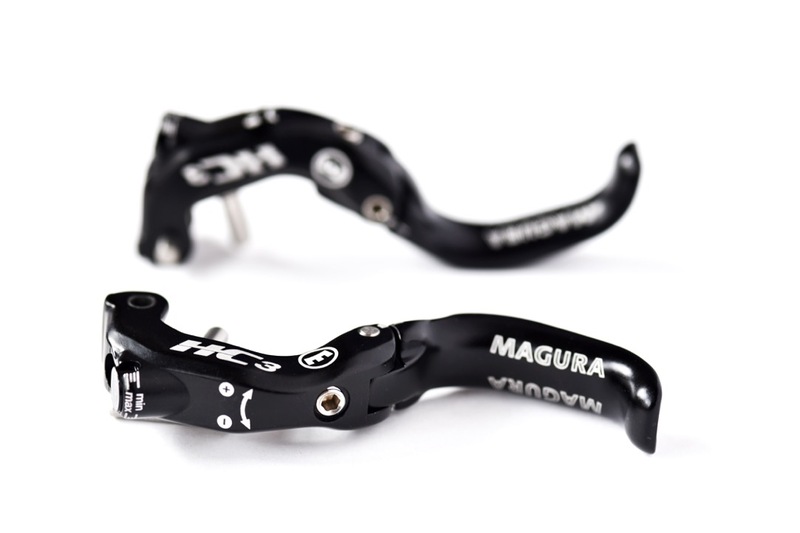 The new Magura MT Trail Sport brakes. Also new from Magura today is a brand new brake called the MT Trail Sport. Based on the MT Trail Carbon that was launched this time last year, the MT Trail Sport takes the same concept of having a quad-piston calliper up front and dual-piston calliper out back, but brings the performance down to a more attainable price point by ditching some of the exotic materials. The brake lever body is still made from Magura’s Carbotecture material, and the guts of the brake are still the same, but there’s just a little less bling overall for those who want to save some euros. Same 4/2 piston design as the MT Trail Carbon brakes, but at a cheaper price point. “The new MT Trail Sport from Magura is the newest member of the MT family which bears the successful concept of our MT Trail brake, with four pistons at the front and two pistons at the rear wheel. The little sister MAGURA MT Trail Sport follows the MT Trail Carbon after one year on the market.” – Magura. The idea is to deliver more power on the front wheel where it counts, and more modulation on the rear brake to avoid locking up. 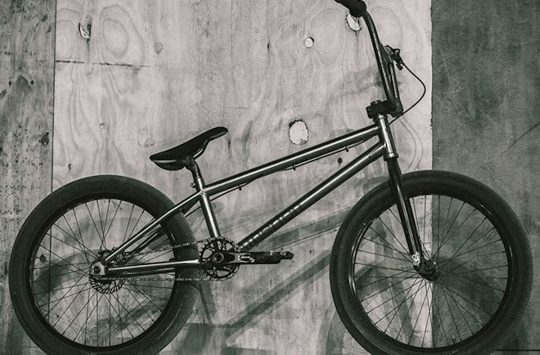 Looking for more Magura-related information? 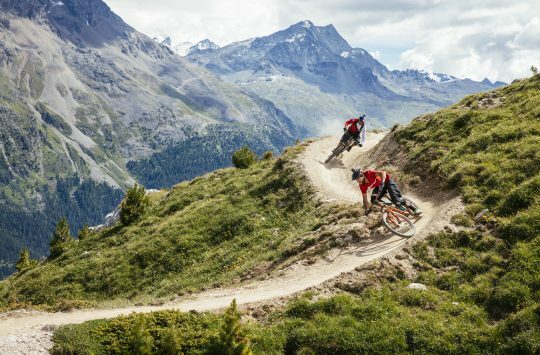 Get your peepers onto Magura.com then! “Drops”? Are we Americans now? I thought from the headline they had cancelled production of a brake. That’s probably because i still use 2 fingers for braking though.